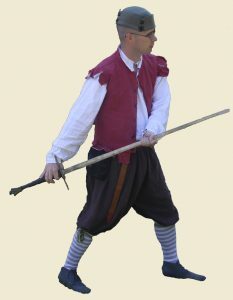 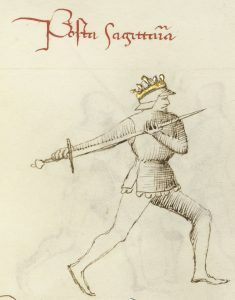 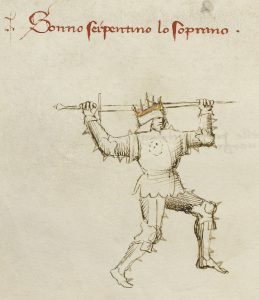 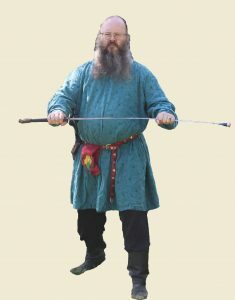 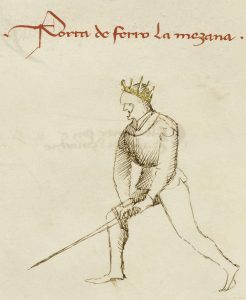 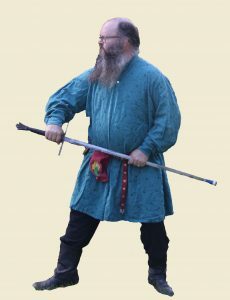 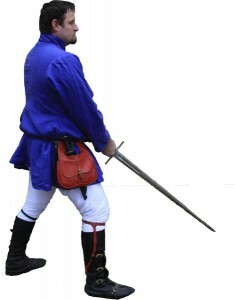 Fiore’s sword in armor postas describe sword positions. 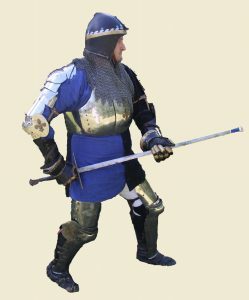 These poses are generally momentary during a fight and can be executed with a wide variety of foot positions and weight bias. 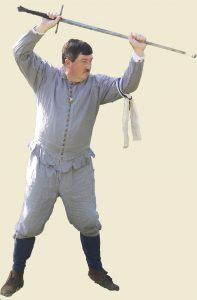 One particular pose is shown when the posta is described, but alternative poses are frequently used during plays that use the posta. 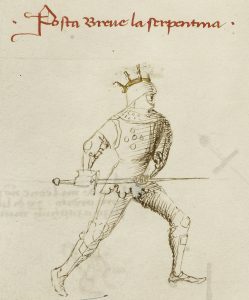 Think of the postas as zones rather than poses to be meticulously duplicated. 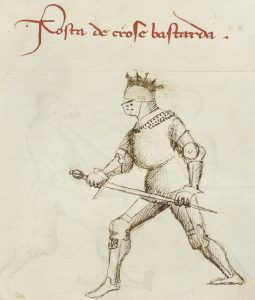 One way to drill your understanding of the postas is to use our Sword in Armor flash cards. 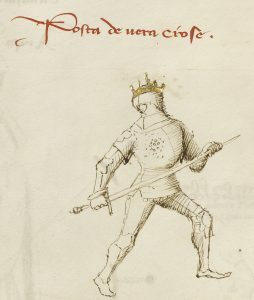 The illustrations are from the Getty museum’s copy of Fiore’s book.